The Pequot and Mohegan Tribes were once one tribe, but war with colonists, differences with other tribes, and different tribal and colonial alliances caused a split that continues to this day. The Mohegans were allies of John Mason against the Pequots in the Great Pequot War in 1637. Will the Mohegans & Pequots re-unite in the Great Casino War of 2020? Read on…..
Over 250 years after the Pequot War (which almost eradicated the entire Pequot Nation), a bingo hall rose on what was left of the Mashantucket Pequot reservation in 1985 beginning the history of gaming in New England and competition once again between the Mohegans and Pequots. Previous to 1992, both tribes fought for federal & state recognition as well as keeping land claims. Then governor Weicker agreed to give the Pequots a monopoly on slot machines in return for 25 percent of the slot machine revenue with the state guaranteed $160 Million,. A year later, in 1993, the Pequots agreed to share the gaming business with the Mohegans, a tribe with whom they have lived for centuries, but the Indian monopoly is extended to all casino games. Foxwoods started it all with a Bingo hall. 2015 – MA opens first of three (4?) casinos in Plainville, Mass at Plainridge Park – slots only. I should mention that casino gambling found a home in the 1800’s in Newport, Rhode Island, not to mention the numerous greyhound, horse tracks and parimutuel parlors throughout New England. Jai Alai frontons in Milford & Hartford CT, and Newport, RI were also popular for a while in the 1970 – 90s until Foxwoods opened. 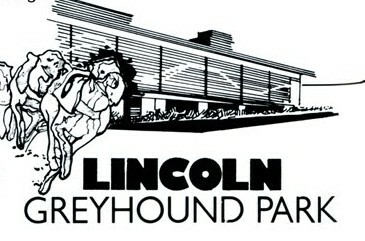 Rhode Island’s Lincoln Greyhound Park became Twin River Casino later. New Hampshire – 2 Casinos, wherever? Total = 13 casinos in a combined area slightly larger than the state of Washington, which has 28 Indian casinos in operation. For those in the country that don’t equate New England with gambling still, it may be a surprise that New England has had more casino proposals not make it to construction than the Las Vegas Strip. For those of you living here, remember these possibilities? New Hampshire proposes three separate casinos (2012, 2013, 2015), but none to show for it. Foxwoods New Bedford (top), Rush Gaming’s Brockton Proposal, which is hanging on by a thread. Where am I going with this? To tell you the truth, I don’t know…..does anybody know? Let’s be honest, the news of an economic gambling war between New England States could go in many directions. Twin River buying Dover Downs in Delaware and moving Newport Grand (closed) to Tiverton with table games and a nifty hotel is an example of New England casinos jockeying for additional advantages. That’s all for now. All I know is, for now, and the foreseeable future, we will have 9 casinos when Encore Boston Harbor is finished in 2019. Actually, it will be 10, since the Aquinnah Wampanoag Tribe on Martha’s Vineyard, MA has been approved for a small class II casino. Rumors have been spreading daily over the two new casinos in Massachusetts. It all started when Steve Wynn, then CEO of Wynn Resorts, Wynn, was accused of demanding sexual favors from female employees over the last three decades. Since these allegations became public, and his resignation as Wynn Resorts chairman and CEO on Feb. 6, a firestorm of speculation has whirled around Everett, MA., spreading to Springfield, MA and even Connecticut’s tribal casinos. MassLive reported that “gaming officials are exploring the sale of Wynn Boston Harbor, with MGM Resorts International as a top candidate to purchase the project.” MGM Resorts International has been urged on by John DeCree of Union Gaming stating “purchasing Wynn Boston Harbor could result in a double-digit increase in return on investment for MGM than their casino project in Springfield.” But state gaming regulations only allow a casino operator to hold more than one gaming license in Massachusetts. Selling their MGM Springfield project would then be necessary to purchase the Wynn property in Everett. Meanwhile, back in Springfield, MGM this week has reported a new opening date – earlier than the previously announced late September. MGM Springfield is now prepared to open (mark your calendars!) August 24th, 2018. This report is not a rumor, but will the casino in Springfield be owned by MGM by that time? 2. MGM sells Springfield casino. 3B. MMCT Joint venture between the Pequot & Mohegan tribes in CT change it’s prospective 3rd CT casino in South Windsor to Springfield, MA. 4. The prospective 3rd CT casino in South Windsor is not built, leaving Foxwoods out of the mix, until…. 5. Connecticut opens bidding for Bridgeport Casino, as Foxwoods & MGM become prime suitors to battle it out for the NYC market. Remember when this beautiful tower was going to enhance the Springfield skyline? According to MassLive, “Mayor Domenic J. Sarno said Friday he has been assured by the top executives of MGM Resorts International and MGM Springfield that it remains committed to building a first-class resort casino in the city, despite unconfirmed reports that the company is in discussions to purchase the under-construction Wynn Resorts casino in Everett.” Residents have made it known that they need MGM for its economic and jobs promises. Some note that MGM has already changed its plans when they changed the 30-story hotel tower and decreased the casino floor. Other residents have noted that businesses have been reluctant to break ground in Springfield to accompany the opening of MGM Springfield. MGM has stated, “We do not comment on rumors or speculations around transactions. We remain fully committed to the opening and success of MGM Springfield.” But it is the Boston market that will pay the most dividends. Springfield has always been, to some, a questionably lucrative project. Many events would have to happen in order for Wynn Boston Harbor to become MGM Boston Harbor. The summer will prove to be interesting, as state legislatures business is coming to a halt soon in both states, putting a hold on possibilities. Besides the Wynn Boston Harbor mess and the MMCT situation in CT, sports-betting is also on the table in Massachusetts, Connecticut, and Rhode Island. Attorney General George Jepsen has advised Connecticut legislators to test the market for opening Connecticut to commercial casinos. He seems to think it wouldn’t jeopardize $260 million in slots revenue the state expects to collect this year under the exclusive deal with the tribal owners of Foxwoods Resort Casino and the Mohegan Sun. But this is a questionable tactic in my mind, and so does Clyde Barrow. Dr. Clyde Barrow is considered a gaming industry specialist. In a comprehensive study, he stated that a new Connecticut casino (referring to the joint venture between the Mohegans & Pequots) would recapture 46 percent of the 9,300 jobs and $337 million in revenue that would otherwise be lost to out-of-state competition, especially that from Massachusetts. Foxwoods Resort Casino has operated a Class III casino under a compact with the State of Connecticut since February 15, 1992 and Mohegan Sun Casino has operated a Class III casino under a compact with the State of Connecticut since October 12, 1996. Connecticut’s two tribes have a combined Gross Gaming Revenue that is the 4th largest in the United States. The top three are California (where 62 of the 109 California tribes own 69 casinos), Florida (2 tribes operate and own 8 casinos) and Washington state (32 tribal casinos owned by 23 tribes). Remember, only two tribes with only two casinos in the third smallest US state. But all that revenue from slots at both tribal casinos would be lost with a competitive process for the 4th casino in Bridgeport. The traffic from New York of prospective gamblers will cause studies and improvements in the dangerous, time consuming highway that is I-95. Improved infrastructure should be paid for by any perspective Bridgeport Casino project, or that will cut into Connecticut’s tax revenue, diminishing the already smaller revenue expected without the tribal tax revenue. I-95 traffic congestion on SW CT. If newly built New York Casinos and NYC close Empire and Resorts World Casinos are already cutting into the tribal revenue, what kind of a terrible impact would a border war with New York AND Massachusetts bring without the CT tribal revenue when the exclusive pact with the tribes is broken. I believe Dr. Barrow’s analysis. But maybe MGM International also believes he’s right. I guess that’s how stalling tactics, and MGM is real good at not showing its hand. Meanwhile, MGM Springfield continues – full speed ahead, while Connecticut is still waiting for in first gear.